Quitting smoking is one of the hardest things for a person to do successfully. Between nicotine addiction and behavior patterns, many smokers who attempt to quit end up smoking again. Smoking is one of the common vices to give up in the new year. However, the health risks of smoking are real and serious. As a smoker trying to quit, you need any tool that might help break cigarettes hold. Fortunately, e-cigarettes and other vaping products can help break the cycle of readdiction. Read on to learn how e-cigs can help you quit smoking successfully. Vaping products isolate nicotine from the rest of the tobacco smoking experience. Nicotine is the addictive chemical in cigarettes. When you quit smoking, the lack nicotine causes withdrawal symptoms like cravings, headaches, and irritability. Since E-cigs contain nicotine without tobacco, the withdrawal symptoms are less severe. Although this is not a guarantee to quit smoking, it can give you a fighting chance to get through the withdrawal phase. If E-cigarettes help you bypass this withdrawal successfully, you can give up smoking without suffering. This gives you the chance to get used to smoking without tobacco that causes more cravings to push you back toward smoking. While the e-cigarette can administer nicotine, it can also help ween you off it. Vaping devices can let you control the concentration of nicotine in your vapor. When you choose from the best vape deals on e-liquids, buy lower levels of nicotine. Over time, you can lower this concentration until you give it up without withdrawal effects. Unlike nicotine patches and gum, you always control the rate of weening, which helps you avoid staying addicted to the lower nicotine concentration. This process eliminates the major chemical reason people cannot quit smoking. Many of the health problems from cigarettes come from carcinogens and other toxic additives added to the tobacco. Vaping mist does not have any of these impurities. However, studies have found that some e-juices or e-liquids do contain carcinogens. While you do eliminate many of the carcinogens in smoking, there are still risks associated with e-cigarettes for your lifestyle. Overall, as you have lower exposure to harmful elements, you will notice an immediate improvement in your health after moving to vaping. As the toxins leave your body it will heal further, and you will notice improvements in your appearance too. These changes will encourage you to keep quitting. Vaping lets you keep your smoking habits that can be the hardest part to break. Many people struggle to quit smoking because they are used to the process of smoking. Even if you do not feel a physical need for tobacco, your mind can want you to have something in your hands or mouth. E-cigarettes emulate the process of smoking. This tricks your brain into thinking your routine is uninterrupted. It also means you do not lose friends or family you keep track of on smoke breaks. Vaping offers a similar action to smoking without the additional chemicals and toxins associated with tar in traditional cigarettes. While it is too early to tell if other harmful elements are introduced, some do recommend vaping as a cessation tool. With an e-cigarette, your life can continue uninterrupted without tobacco. The vaping community is also ready to help you break your habit. No one device or strategy can help you quit smoking alone. A support system to offer advice and encouragement is also needed. You can get this support from the e-cigarette community. They can offer advice on what e-liquids would help curb nicotine. They can also provide enthusiasm for your milestones. It is much easier to quit smoking when you know that others have overcome the same struggles that you are currently experiencing. You can even continue vaping after you ween of nicotine, as some e-liquids are nicotine free. This means the vaping community is a support system that can help you the rest of your life. With e-cigs you can steadily break away from the cycle of smoking. Vaping lets you separate tobacco smoking from nicotine to avoid the severity of certain withdrawal symptoms. Moreover, E-cigs let you ween off nicotine gradually by controlling the concentration in your e-liquids. The lower concentrations assist in breaking the chemical addiction. Your body starts to heal from smoking damages as you vape without smoking’s byproducts. E-cigs emulate smoking, so you don’t fight the mental habit as well as the chemicals. The vaping community can offer you support as you quit. 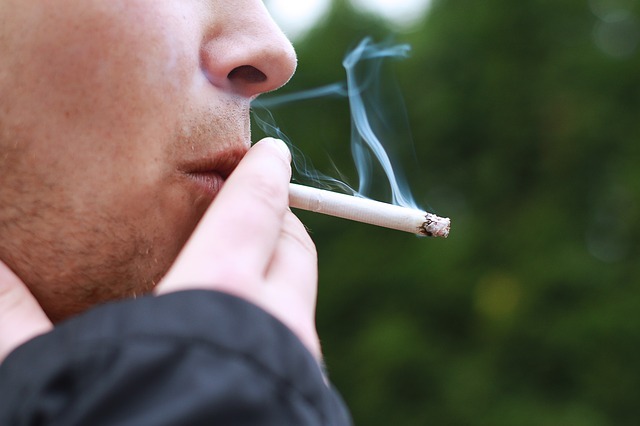 For these reasons, you will finally stop smoking.